The North Carolina Pest Management Association (NCPMA) kicked off the 69th Annual Pest Control Technician’s (PCT) School in Durham, N.C., on Tuesday, Jan. 29. The three-day event has attracted nearly 1,000 pest management professionals from across the state for education, training and networking. • North Carolina State University (NCSU) Hands-On Spray School and Live Learning Course: Held at the NCSU Structural Pest Management Training Facility on Chi Road in Raleigh, this 4-hour, hands-on training session for pest management managers and technicians focused on proper equipment handling, calibration and repair and how to ensure accurate pesticide application rates and techniques. • NWCOA Bat Standards Course: An 8-hour wildlife course designed to provide a comprehensive educational opportunity to earn credits while learning the latest in control techniques. The NWCOA Bat Standards Course is offered by NWCOA to aid in the survival and future of bats in the North America, as well as to educate those who perform bat exclusion services in residential and commercial structures. • A.C.E. Review Course and Exam: The PCT School offers the Associate Certified Entomologist (ACE) Review Class and Exam from the Entomological Society of America (ESA). 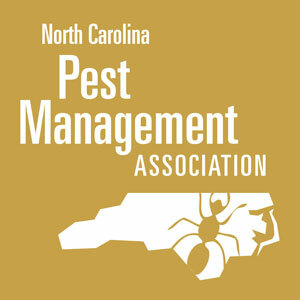 The event is offered by the North Carolina Pest Management Association (NCPMA) and is held at the Sheraton Imperial Hotel and Convention Center. It continues through Jan. 31.